Singrauli is fast emerging as the power hub of India, especially for electrical power and coal. 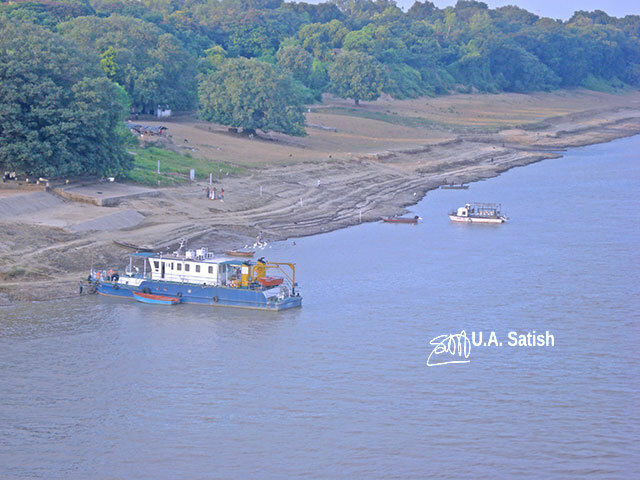 Therefore locally it is also call as Urjanchal (a Hindi word meaning land of energy). Singrauli is on the border between Madhya Pradesh and Uttar Pradesh. The nearest airport is Varanasi (195 km) which is across the border in Uttar Pradesh. The journey on highway SH 5A takes close to 5 hours. 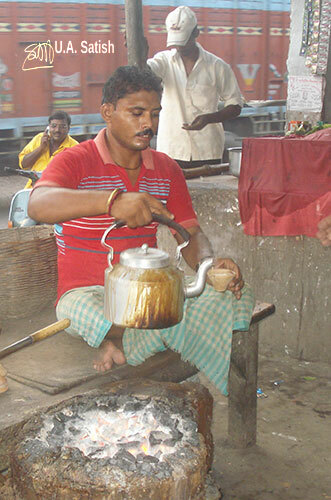 There is an Inter City Express connecting Varanasi and Singrauli. It departs Kashi station at 14:24 hours and arrives at Singrauli at 20:50 hours. A ticket in ac chair car costs Rs. 335. Direct trains run from Singrauli to Jabalpur, Katni, Kota, Guna, Allahabad, Lucknow, Gaya and Jhansi. I have travelled at night on Singrauli-Ambikapur (Chattisgarh) road which passes through thickly forested areas. The road was in very poor condition. Avoid night travel on the route because Naxalites often turn up here. 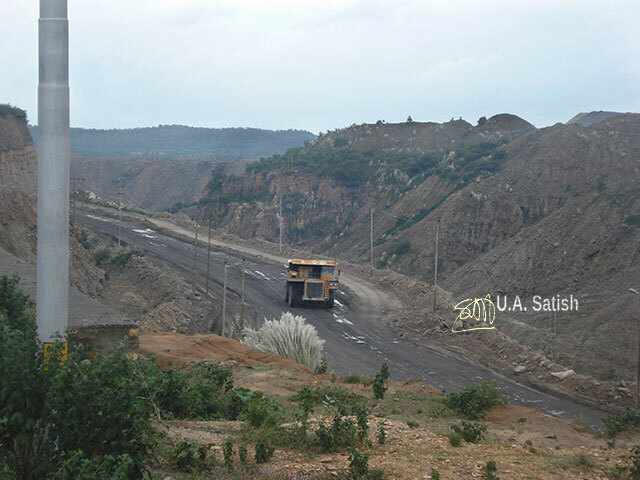 I came across this truck on a coal mine in Singrauli. The mining truck has a payload capacity of 360 tonnes. The truck consumes fuel in large quantities: an average of 65 gallons per hour. with a fuel economy of 0.3 mpg. With such huge costs, the truck is usually run round the clock, with stoppages only for scheduled maintenance. 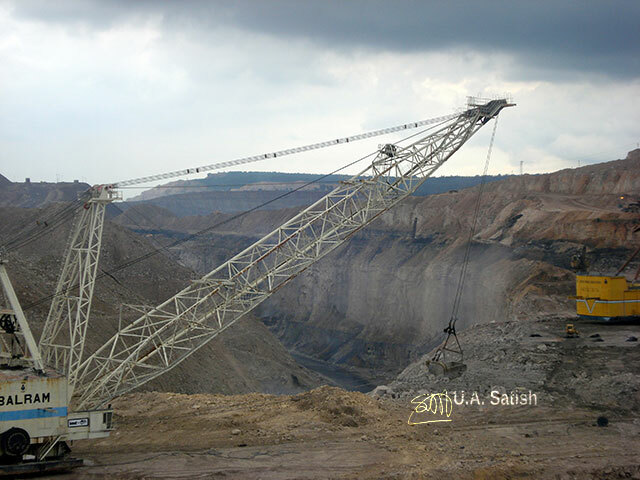 This is the walking drag line excavator I saw in Singrauli, Madhya Pradesh. There are several coal mines nearby that are active. The mines are highly mechanised. A ‘walking drag line’ is an excavator where the bucket is dragged by cables, rather than lifted by an arm. This permits the bucket to be much larger than those on shovels. Drag lines, because of their huge size, cannot move with wheels or bulldozer tracks. They stir using hydraulically operated ‘feet’, which raise and lower, one at a time. That’s why they’re called ‘walking’ drag lines. 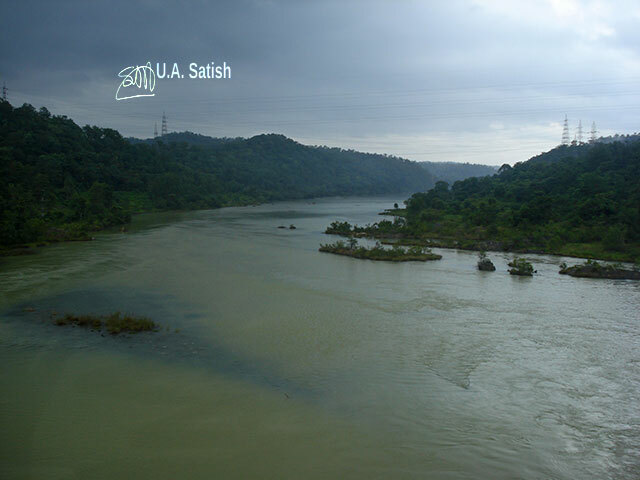 In 1962, the government inaugurated a dam across River Rihand which flows alongside Singrauli. Later, rich coal deposits spread over an area of 2200 sq km were discovered around the reservoir of the dam. 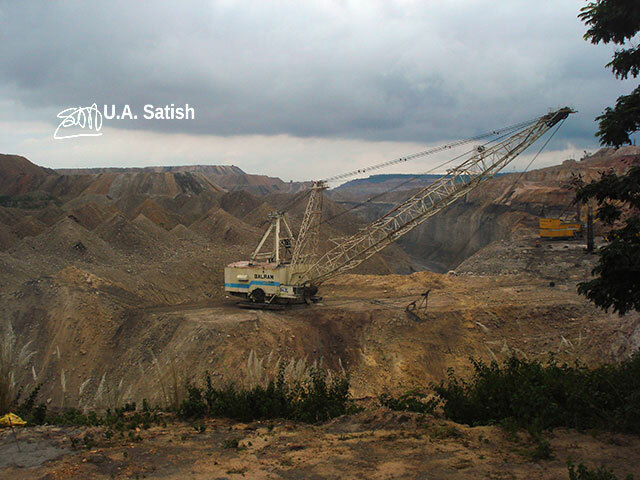 As a result, coal mines and thermal power stations came up in Singrauli. In May 2008, Singrauli became the 50th district of Madhya Pradesh. In recent times, the area has developed as an important centre of mining and industry. 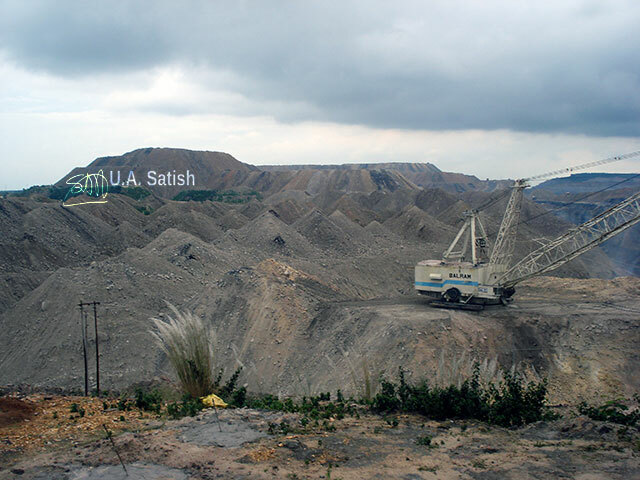 Northern Coalfields (NCL) operates 13 coal mines in Singrauli. 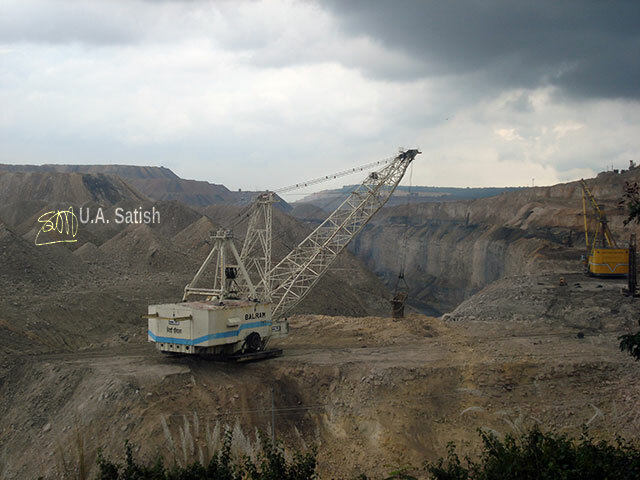 NCL is a part of Coal India which is the largest producer of coal in the world.